EDIT : This campaign is now closed. This post will be updated with the results of the campaign after the Annual Meeting. The World Economic Forum Annual Meeting 2017, taking place in Davos this January, comes at a critical time for global affairs. Now, more than ever, it is crucial for the global leaders in Davos to hear and respond to the diverse challenges faced by people across the globe. 1. 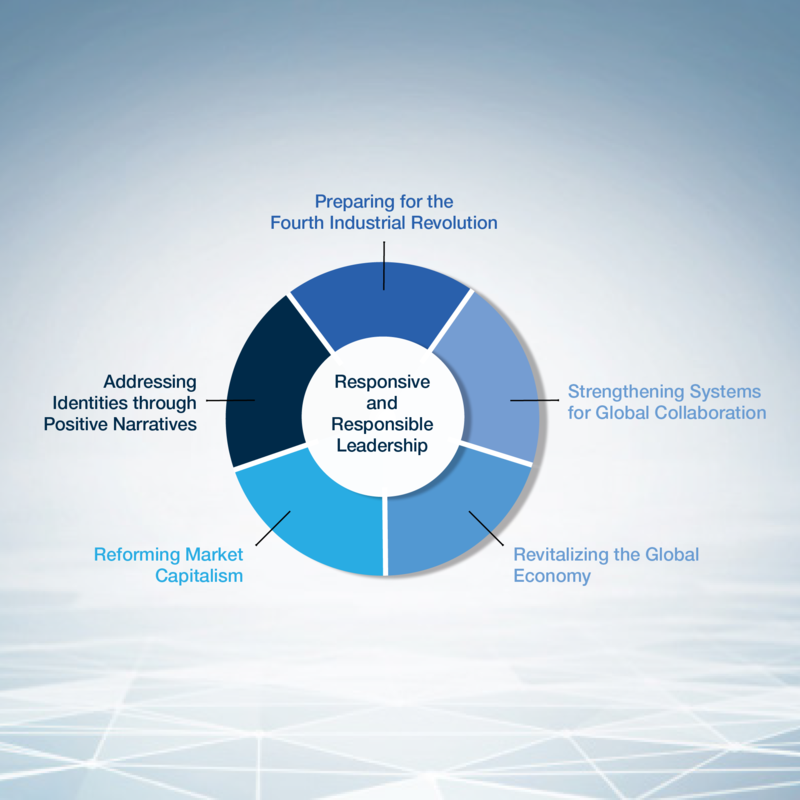 Preparing for the Fourth Industrial Revolution : The convergence of technology and humanity will have a greater and longer-lasting impact on the future of workers and economies than many other economic issues. How can we brace ourselves for the coming whirlwind of change? 2. Strengthening the governance of globalization and international collaboration : Many of our global systems for cooperation between countries and stakeholders were built for a bygone era. How can we build a dynamic and inclusive system to help manage the effects of globalization? 3. Revitalizing global economic growth : Permanently lower levels of economic growth translate into permanently lower living standards. At the same time, billions of new jobs are needed to keep up with demographic changes over the next few decades, and we need to finance the UN’s Sustainable Development Goals and the global fight against climate change. How can we reinvigorate our economies to meet these challenges? 4. Reforming market capitalism : Short-term thinking, self-interested behaviour and corruption are putting the compact between business and society at risk. How can we build on the energizing and entrepreneurial aspects of market capitalism, while redirecting it away from its worst excesses? 5. Developing positive identities through new narratives : Globalization has made the world smaller and more complicated, and many have lost confidence in institutions, and even in their own future. How can we inspire optimism and trust in the future? How can we show what can be achieved based on constructive steps to build a better future? In December 2016, we reached out to the global public and received applications from hundreds of individuals from all around the world to contribute to our Annual Meeting in Davos.